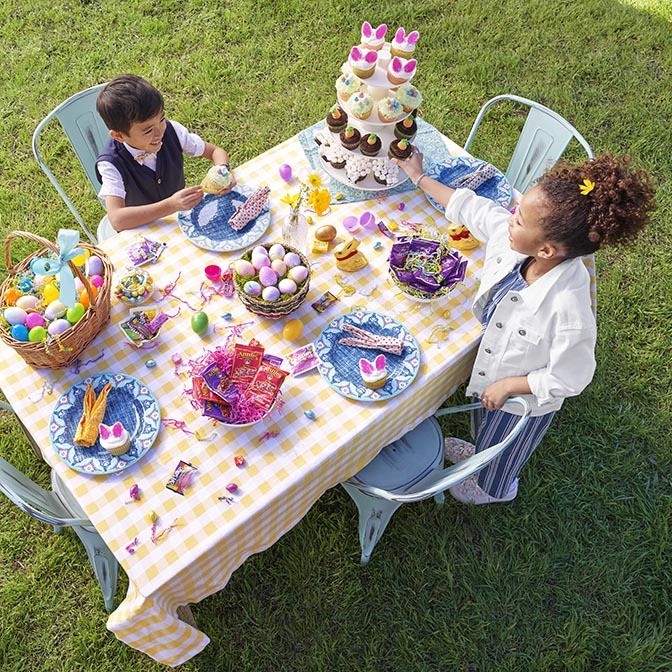 Hosting must-haves, recipes & tips for a perfect family-friendly Easter meal. 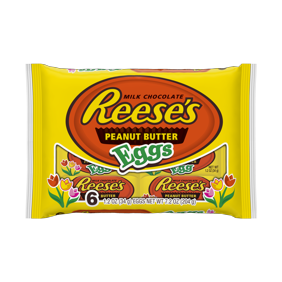 Hosting Easter this year? 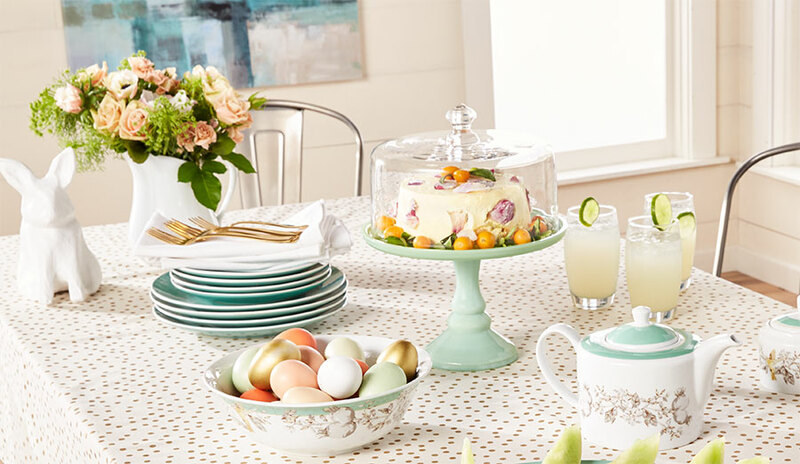 Whether it’s a casual Easter brunch or a sit-down Easter dinner, check this list of 6 must-have hosting essentials to ensure the day goes off without a hitch for adults and kids alike. Easter is a beautiful occasion that also highlights the bounty of spring. While the Easter meal should be delicious, it doesn’t need to be stressful. (Thanksgiving-level effort is not expected.) The meal should feel bountiful but also light and carefree, just like spring. Choose flavorful dishes to serve a crowd and celebrate spring ingredients, like ham, eggs, green beans and carrots. 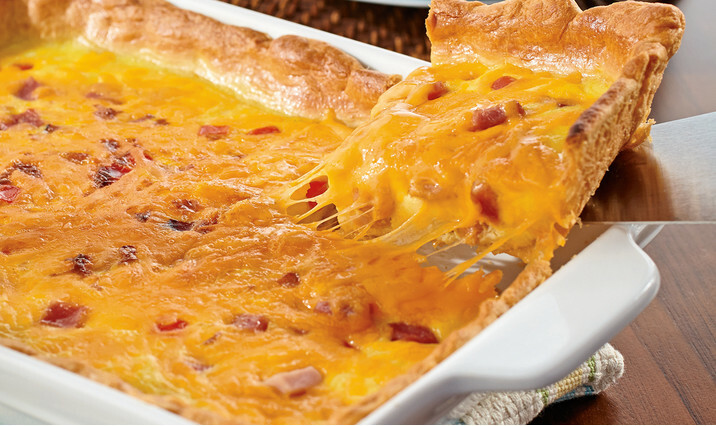 Easter brunch: Save even more time on Easter Sunday by making an easy crowd-pleasing casserole ahead of time. Pair it with store-bought prepared items like spiral ham that only require reheating. 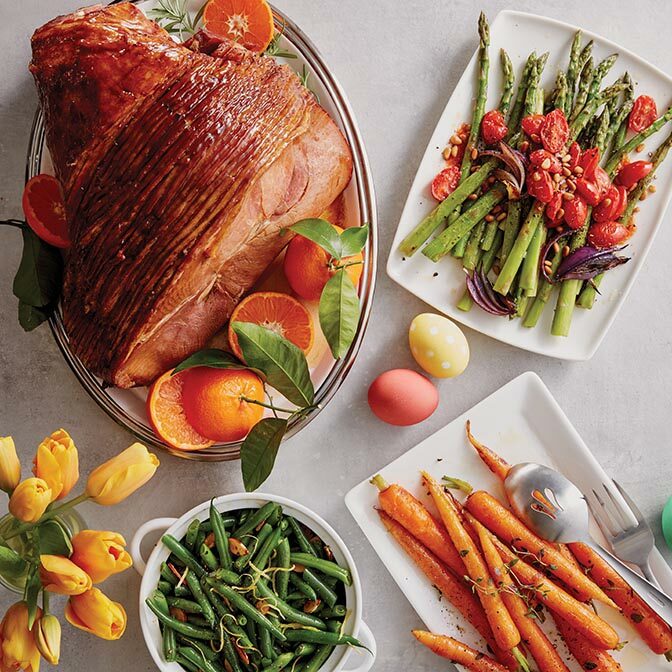 Easter dinner: Pair traditional Easter ham with a combination of make-ahead hearty sides like scalloped potatoes or mac & cheese with fresh quick cooking sides like lemony green beans and roasted asparagus. Ready to shop? Browse a wide selection of hand tool sets. Running around after candy-fueled kids or sitting through a long (and inspiring!) service can work up an appetite. Make the transition to the meal a little easier by greeting guests with drinks and a little something to snack on. Just a few nibbles will keep the hunger at bay. 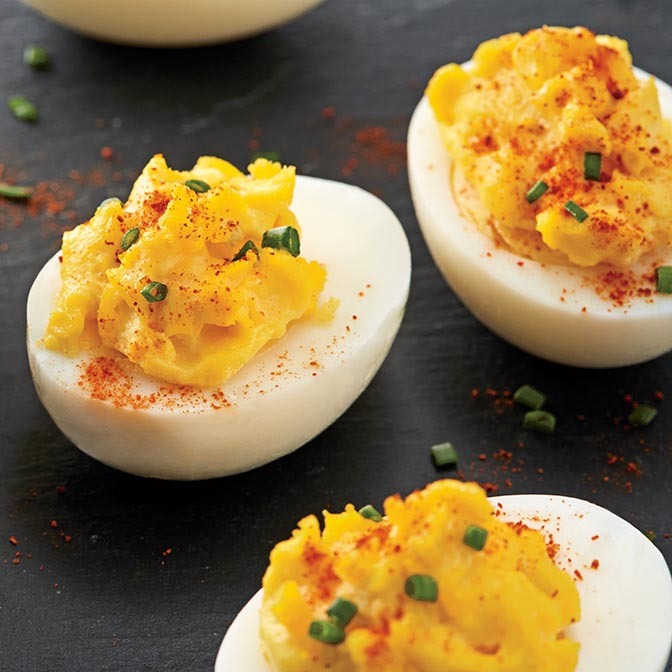 Offer snacks like a bowl of bunny cheese crackers, veggies and dip or an irresistible tray of deviled eggs. For beverages, keeping it refreshing is key. 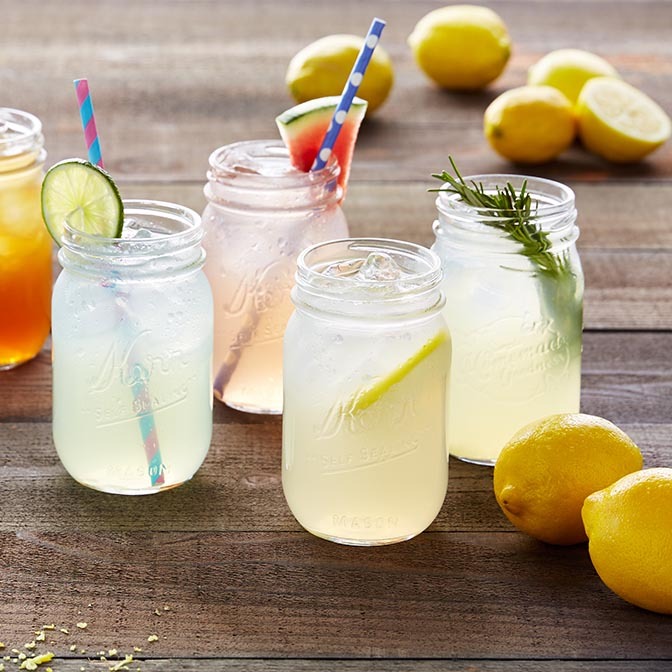 Pull out your favorite lemonade recipe for a pitcher-perfect beverage that everyone can enjoy. 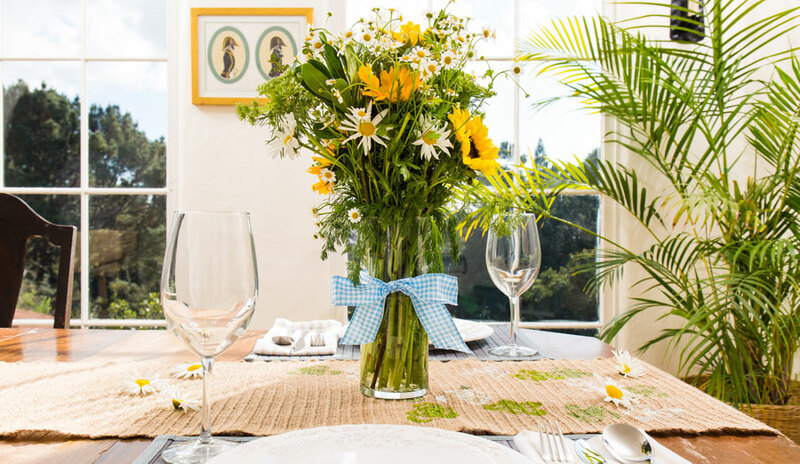 Anchor the table with a lush floral centerpiece. Spring flowers like daffodils, daisies and tulips are great choices and come in a variety of bright spring colors. Muted tones can also be used in a way that creates a chic minimal and modern statement that is simple and affordable. Style frosted green eucalyptus leaves as a table runner or bunch delicate white baby’s breath into clear vases. 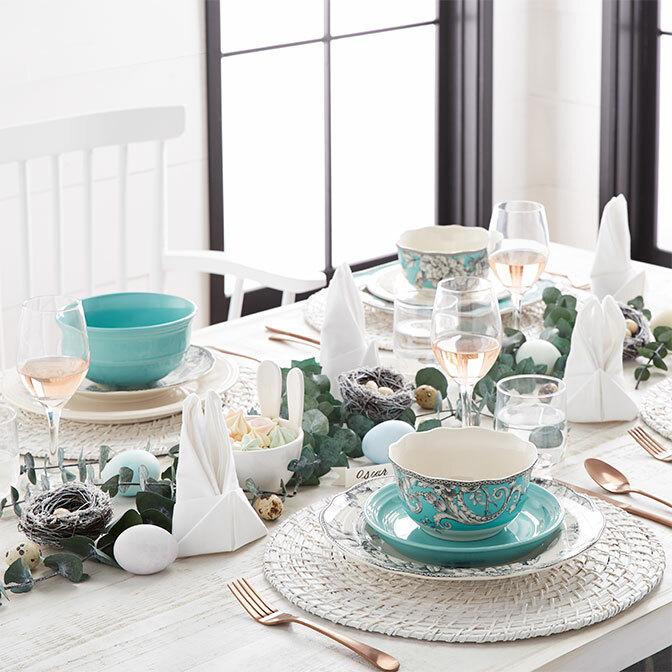 If you’re hosting a seated meal, there is so much fun to be had by making the place settings festive. 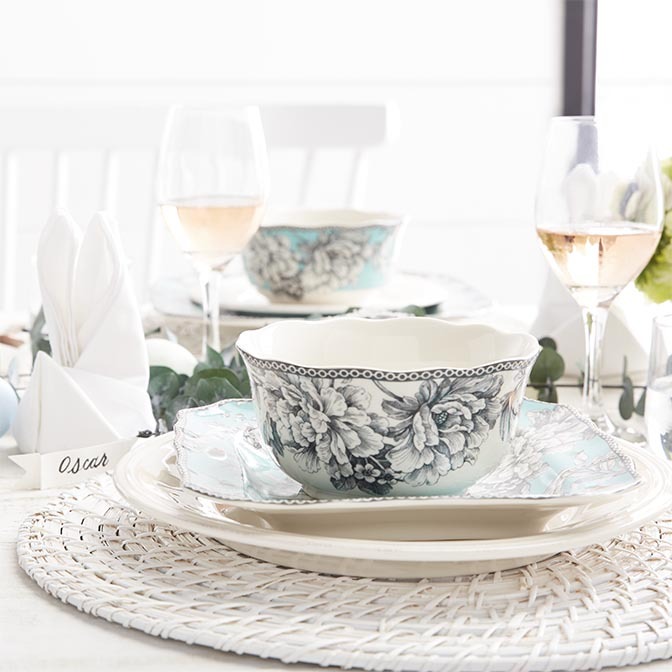 A new Easter dinnerware set can easily extend to the whole table by mixing and matching the plates and bowls with your existing everyday dinnerware. Don’t forget to include cute napkins and place card treatments. A napkin folded into a bunny shape will delight both kids and adults. 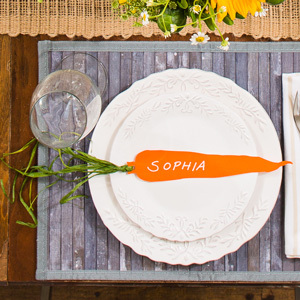 Or swap the simple paper place card with a colorful paper and raffia carrot place card—so cute your guests will want to take them home. 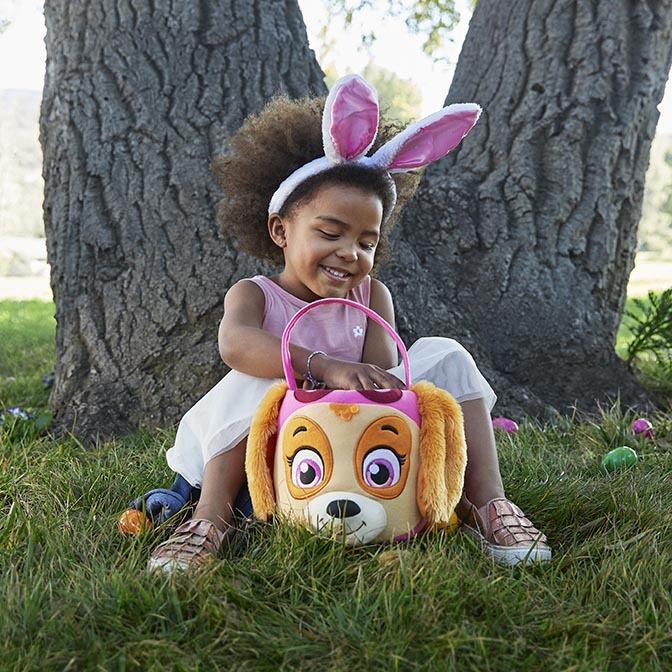 Create an area where kids can enjoy the candy and gifts from their Easter egg hunt. If there’s room, decorate a card table just for them, with kid-friendly plates and cups. 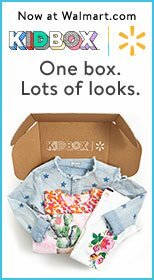 Creating a space for kids to be kids on this holiday is a great way to make wonderful memories. 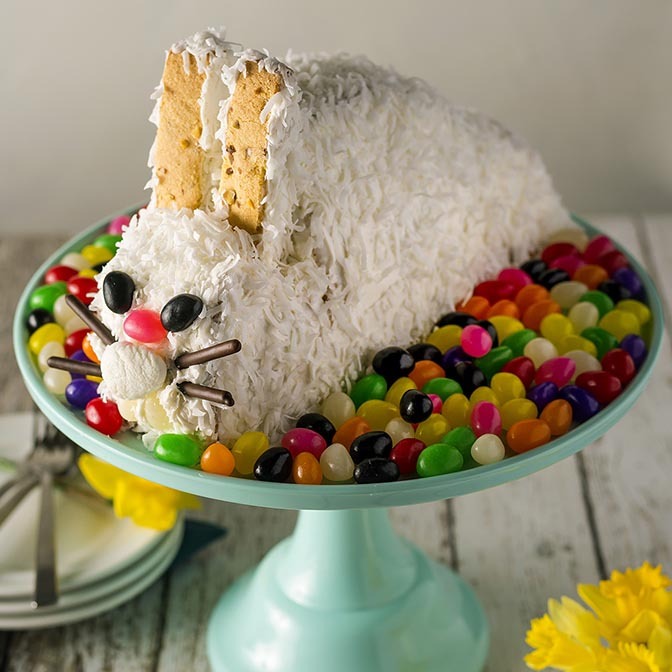 An Easter meal wouldn’t be complete without a delicious dessert. 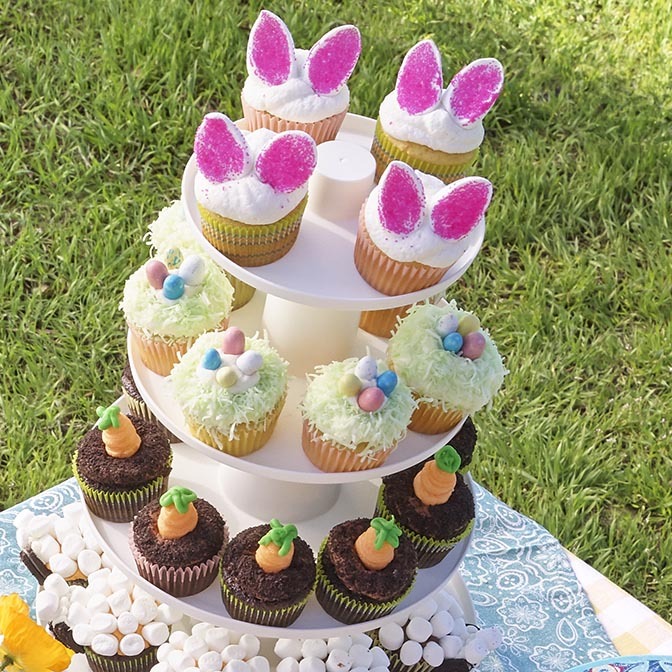 Display that beautiful bunny cake, carrot cake or adorable cupcakes in a way that makes them shine and makes mouths water.